A couple weeks ago, I made M a “meat and potatoes” dinner. The chicken was stuffed with chives and cream cheese and the red potatoes were wonderfully roasted with a myriad of herbs. I thought he would be excited because I rarely (in fact, this may have been the first) make him a so-called “meat and potatoes” meal. Turns out, I forgot one key thing: he’s not a meat and potatoes kind of guy (potatoes are, in fact, one of the foods he doesn’t really like). He’d happily eat (my favorite) one-dish meals with the occasional burger thrown in every now and again. So, I’ve been working up an arsenal of quick, one-bowl dinners that we both can enjoy (like my favorite peanut noodle bowl). 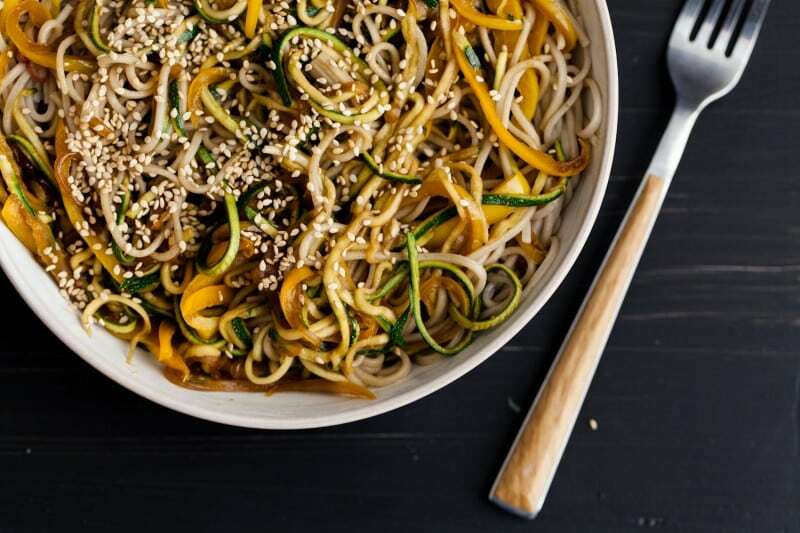 Every time I see a recipe with zucchini noodles, my only thought is that I’m not doing that enough (because really, it’s pretty amazing). 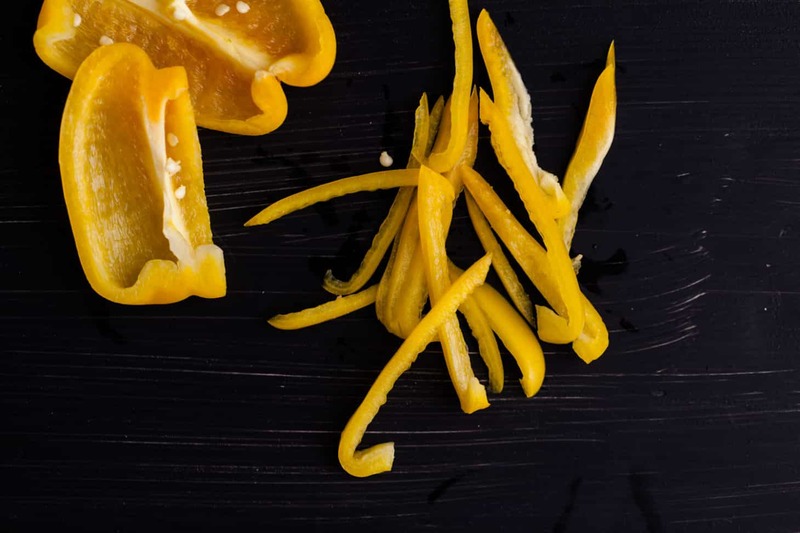 I purchased a julienne peeler for Sur La Table a couple months back and as of recent been going crazy noodling vegetables (noodling is probably not a verb in the sense of making noodles, but hey, I like it). This is one of my quick, go-to lunches that I can make on one day and eat for two. 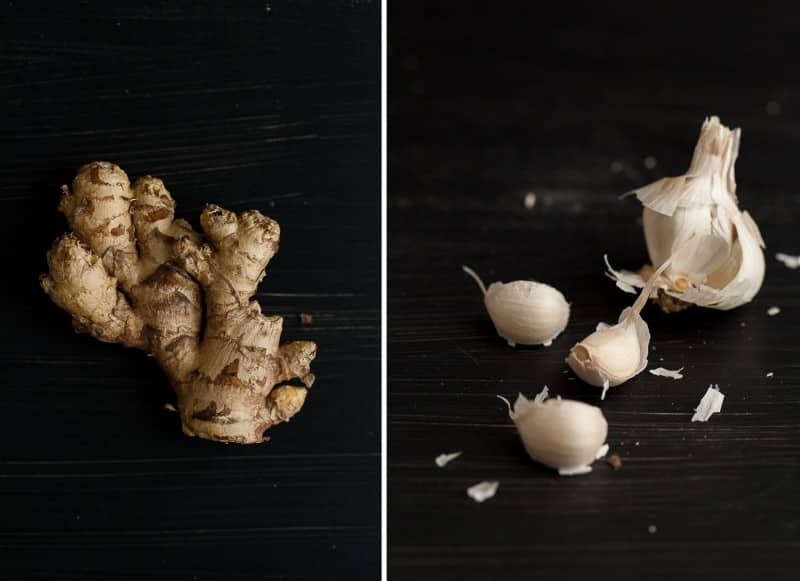 I’ll warn you that I love garlic (reason I include 4 large cloves-gives it a kick of heat), but you can always reduce the amount to 2 cloves. Bring a pot of water to a boil. Add soba noodles and cook until tender, 4-5 minutes. Drain and rinse under cold water, set aside. In a large skillet, heat olive oil over medium-low heat. Add grated garlic and ginger, cooking for 1 minute. Pour in soy sauce, water, and honey. Bring to a boil, reduce to a simmer, and cook for 2 minutes. Add in the thinly sliced red onion and pepper to the soy sauce mixture, cooking until tender, another 3-4 minutes. Next, add zucchini noodles, stirring to coat the noodles. Cook for 1-2 minutes (I like my zucchini noodles to still have a slight crunch). Taste and add more soy sauce or honey if desired. 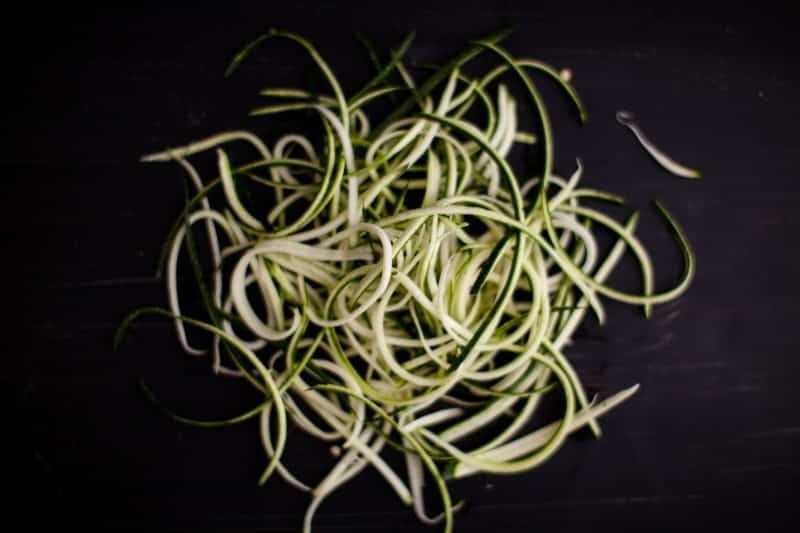 Tips & Tricks: If you have a spiralizer, feel free to use that for the noodles. This dish is a great lunch or light dinner that comes together in roughly 20 minutes. While I used zucchini noodles and pepper; snow peas, broccoli, spinach, and/or carrots would make a great addition. I find this is one of those recipes that’s good to whip up on a Sunday and eat for lunch in the days following. Appetizer: If you feel like going all out for a special dinner, make potstickers for the opening dish. The link is for sweet potatoes but you could easily do sweet corn (or some other summer vegetable). Salad: When I eat a soba noodle bowl, it’s usually a one-dish kind of meal. However, I’ll occasionally throw together a simple salad of greens, tomatoes, and a drizzle of dressing. Drink: Crisp and dry white wine- I go with my stand by of Pinot Grigio. Recipe originally posted on August 28th, 2013. Last updated August 9th, 2015. This looks silly good! I can’t wait to try it. This looks delicious and healthy! I am totally eying up that peeler now.. it would be a great kitchen addition! This looks amazing! Unfortunately, I have a soy allergy and can’t do the soy sauce…what would you recommend to substitute? Or can I leave it out entirely? Thanks! Try coconut aminos instead of soy. It’s a delicious substitute! Mmm! This sounds so perfect and is so pretty! 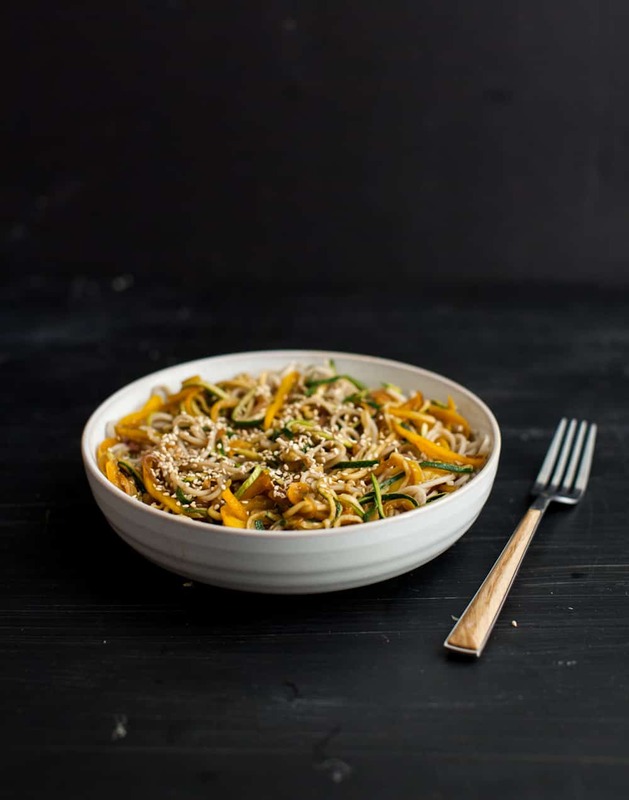 I love zucchini noodles too and need to make them more! This sounds like a perfect weekday meal! This looks great. I like “noodling” as a verb! Totally craving this right now. One pot meals, eaten/ate (I never know what is the right use!) out of a bowl is the best. There is just something about holding the bowl and being able to eat your whole meal. Maybe that’s just a quirky thing for me. 🙂 I was thinking about you a few days ago. My sister and friends took a few days off and camped somewhere around the Sonoma area. They took a tour of the Bale Grist Mill. She said it was very cool, and she bought a few different flours. Now she is baking, baking, and baking! I’ll have to check that out! Sounds really neat and isn’t too far of a drive for me. Thanks for sharing! I’m obsessed with my new julienne peeler, too! Looks like both had the good idea to mix veggie noodles with real noodles. This dish sounds awesome. I’m glad, for your sake, that M isn’t a meat and potatoes kind of guy. I don’t think I could date one! P.s. hope the wedding preparations are going well! Wonderful! Hopefully this helps in preparing meals a bit faster! This was awesome! I bought a mandolin to use for noodle-ing purposes; this was a great starter recipe! Much less daunting then noodleing an asparagus. 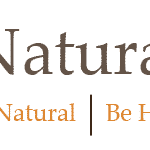 Hi Ella, I’ve been exploring your site today, and I think I’m going to find tons of wonderful recipes for my family! I would love to know where you find your beautiful pottery, like this bowl and the bowl featured in your chipotle recipe- oh, and those darling little bowls holding your beans, rye, lentils, etc. I love simple, white or cream bowls and dishes, as I think it really showcases food in a simple but aesthetically pleasing way. Thanks so much! Hi Jennifer, I think this bowl was actually from West Elm or Crate and Barrel. The smaller bowls came from this etsy shop: https://www.etsy.com/shop/JDWolfePottery?ref=pr_shop_more Best! I made this for lunch today and it was INCREDIBLE! Now I have lunch for the next couple days, too! I made this yesterday for my work lunches for this week. It’s great! I added in tempeh and would want to include that or tofu in it to have some protein, but the flavors in this are great! I also added in a little sriracha for a bit of a kick, but otherwise made it as written. This is a great recipe and makes a great lunch. This was aaamazing. I also love noodling (though it’s so hard to do now that we’re in the middle of winter…) Can’t wait for summer produce to make this again! hi – how many servings would you say this makes? looks delicious. thanks! 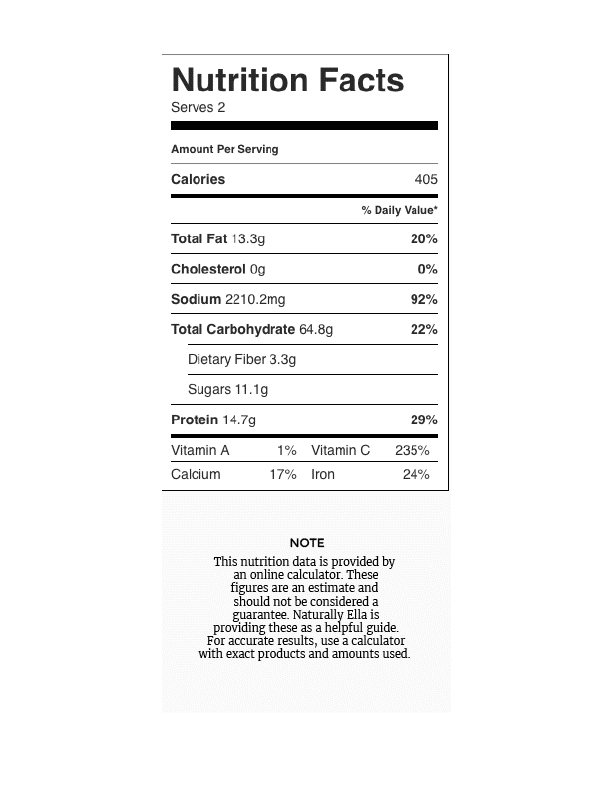 1 large serving or 2 decent sized servings! Made this for dinner tonight. Very simple. Delicious. Very filling. Totally forgot about the bell pepper, but added carrots, and cucumber noodles at the end. Oh, and a tiny dash of sesame oil. And a wee bit of tofu. Will definitely make again and again. 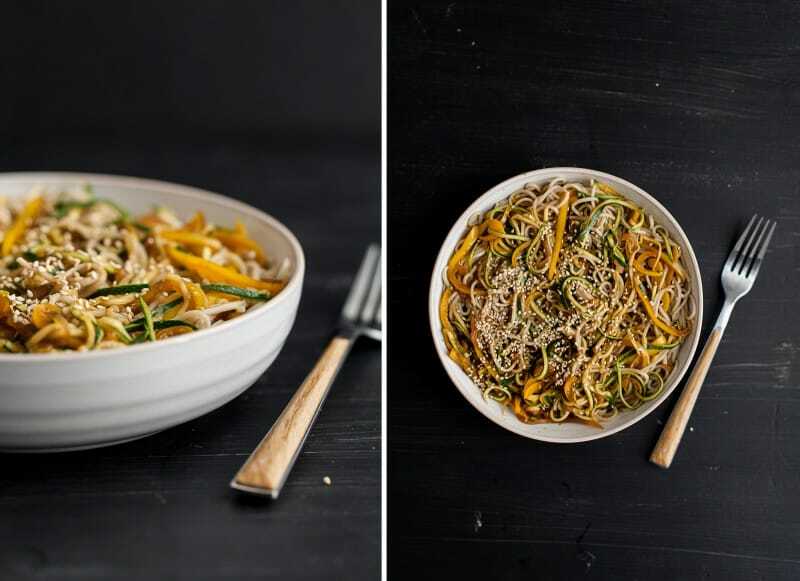 I can eat buckwheat soba like no other–and zucchini noodles too! I made this tonight for my sister and I’s dinner, it was really good ! and really fast to make, and I love soba noodles, so we’ll definitely be eating this again. Thank you for the recipe ! Omg this looks absolutely amazing!!!! I love noodles that can be served cold during the summer months!!! I’m gonna have to try this really soon! P.S. I just found your blog and I’m absolutely in love!!! The photos, the design, the writing… All so perfect! This looks gorgeous! As much as I love “noodling” vegetables, they can never truly replace real noodles in my book, so I love that this has both. Adding this to the must list make right now! Hi Tara, I’m sorry but I don’t track that information but this calculator can help. Loved this. Had it for dinner with teryaki salmon. Thank you for sharing! !